Brendan holds a joint appointment in the Library as the Archivist of the Papyrology Collection and as an Assistant Professor in the Department of Classical Studies. His academic interests focus on papyrology and the history or Graeco-Roman Egypt, primarily environmental history (water, irrigation, agriculture, natural resources, etc.). He also has interests in the history of Egyptology and in Egypt in the European colonial period. Brendan graduated from the University of Washington in 2004 with a BA in Classics and from the University of California Berkeley in 2012 with a PhD in Ancient History and Mediterranean Archaeology. When he’s not to be found in the Papyrology room of Hatcher Graduate Library, look for him in Classical Studies on the second floor of Angell Hall. As Archivist of the Papyrology Collection, Brendan works to facilitate research, publication, and conservation of the collection. On the digital side, he oversees and helps to enhance papyrology's digital resources. On the Classical Studies side, he serves as an Assistant Professor and teaches coursework in the Classics. Monica received her MS in Information from the University of Michigan in 2011 and her MPhil in Classical Studies from the University of Cambridge in 2007. Her undergraduate work was at the University of Maryland. She has been working in the University Library since 2009 and started working in the Papyrology Collection in 2013. Her primary responsibilites include managing the day-to-day operations of the Papyrology Collection and making both the Papyrus Collection and the Papyrology Reference Collection available to scholars and visitors. Leyla has been the conservator of the Michigan Papyrus Collection since 1990. She was trained at the Egyptian Museum in Berlin, and as one of the foremost papyrus conservators in the world, she has worked internationally at several collections, including the Hermitage in St. Petersburg, the Carlsburg Collection in Copenhagen, and the Chester Beatty Collection in Dublin. In order to help provide instruction in papyrus conservation, she has published and regularly updates the APIS Conservation Guidelines, which is now the standard guide in the field. She has also organized an International Seminar in Papyrus Conservation at the University of Michigan in order to train professionals from other collections in all aspects of papyrus conservation. 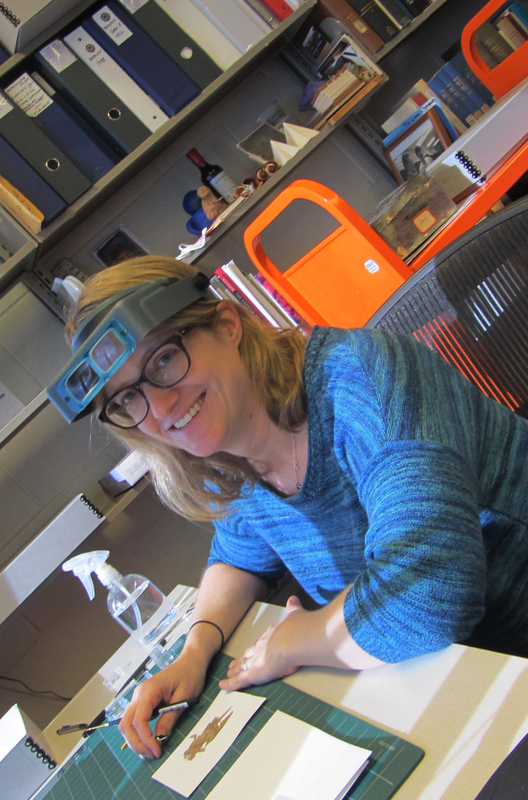 With the support of Andrew W. Mellon Foundation funding, Marieka comes to U of M after serving as a book and paper conservator for 8 years at the Huntington Library in San Marino, CA. Marieka is a rare book and paper conservator assessing and treating predominantly bound, paper-based collection materials for the University of Michigan library system. She is currently training in papyrus conservation with Senior Conservator Leyla Lau-Lamb. Randal is the digital photographer for the U of M Library. Since 2006 he has been working to digitize our Papyrology collection for use by scholars around the world. He creates high-resolution color images as well as infrared photos with the intent of making these ancient documents readable and translatable. 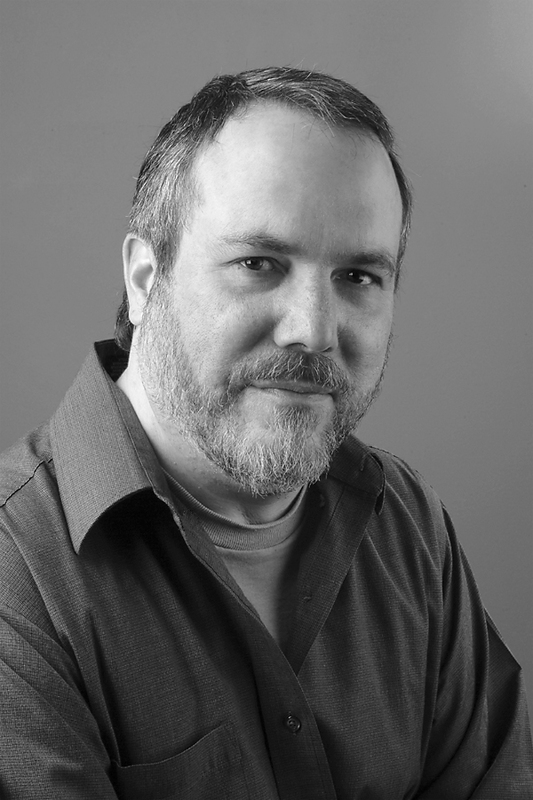 Richard Janko has worked on a variety of literary and philosophical papyri, including the Strasbourg Empedocles and the Derveni papyrus. At present he is reconstructing a 16-meter long roll from Herculaneum which contains Book 2 of On Poems by Philodemus, the Epicurean philosopher and teacher of Vergil. 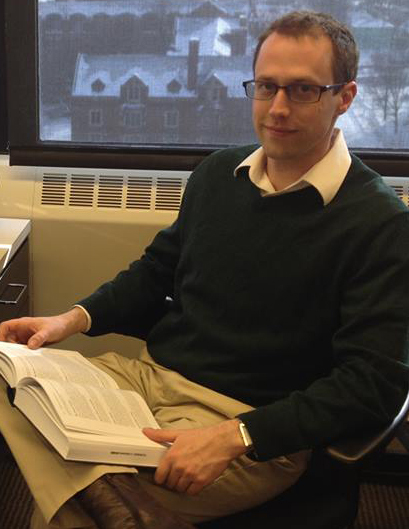 Ian Moyer's investigation of historical interactions between ancient Greeks and Egyptians often lead him to the papyri, ostraca and inscriptions of Ptolemaic and Roman Egypt, and to the wealth of resources in the University of Michigan Papyrology Reference Collection. In his recent book, Egypt and the Limits of Hellenism, he has explored the history of cultural and intellectual encounters between ancient Greeks and Egyptians, and in his current research he is re-examining relations between the Ptolemaic state and the indigenous élite in Egypt. He also uses papyrus documents to teach ancient history at Michigan. Francesca Schironi (PhD in 2002 from the Scuola Normale Superiore of Pisa) studied Papyrology at the University of Pisa and then at Oxford with Dirk Obbink, where between 2003 and 2004 she also worked on the Oxyrhynchus Papyri Imaging Project as a research assistant to Dr. Dirk Obbink. While assistant and associate professor at Harvard (2004-2010), Francesca founded and directed the Harvard Papyri Digitization Project, which digitized the papyrological collection at Harvard and made it available online. Beyond editing papyri of Oxyrhynchus and working on the connection between papyri and ancient scholarship, she is the author of two monographs on papyri; the edition and commentary of the Oxyrhynchus Glossary (From Alexandria to Babylon. Near Eastern Languages and Hellenistic Erudition in the Oxyrhynchus Glossary (P.Oxy. 1802 + 4812), Berlin-New York 2009) and a monograph on book-conventions in rolls and codices containing hexametric poetry (Book-ends, End-titles, Coronides in Papyri with Hexametric Poetry, «American Studies in Papyrology» 48, Durham NC 2010). Arthur Verhoogt received his PhD from the University of Leiden in 1997 and joined the University of Michigan in 2001. He specializes in the social, cultural and economic history of Greek and Roman Egypt and is currently working on several Karanis papyri from the U-M collection. Terry Wilfong is curator in charge of Graeco-Roman Egyptian material at the Kelsey Museum of Archaeology, and is particularly interested in the connections between the Kelsey collections and the excavated material in the Papyrology Collection. He frequently incorporates papyri from the Papyrus Collection into his Kelsey Museum exhibitions, most recently for the exhibition "Karanis Revealed." He has published a number of Coptic texts from the collection, and is currently working on several more. In addition, he is also working on the publication of the hieratic funerary papyri in the collection, including the Book of the Dead papyri. Elizabeth's interest in papyrology was sparked by encounters with the Oxyrhynchus papyri before and during her undergraduate career. As part of her MA at University College London she worked on unpublished papyri of Theocritus and Homer. While at Michigan she has delivered conference papers on wet-nursing contracts as evidence for child exposure and slavery in Roman Egypt, and on child labour contracts in the and other new texts from the Harthotes archive (the latter jointly with W. Graham Claytor).